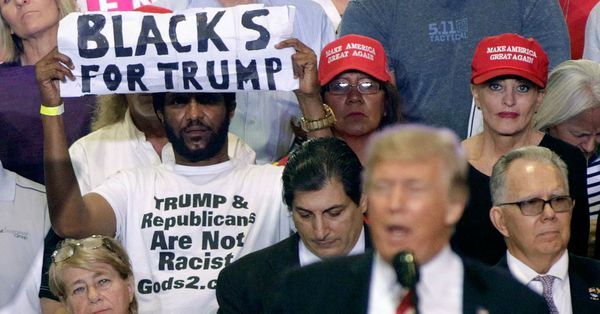 Trump support among the black community is on the rise. This is dangerous to Democrats. The Black community is realizing that Democrat policies are designed to keep them dependent on government. Trump policies are good for the black community, such as job growth, tax cuts, and dismantling Obama's executive orders & regulations. Democrat politicians play identity politics. Trump's policies do not. Black or white, Trump's policies speak of; "We are all one people... Americans". Democrats and Liberals are calling Trump racist everyday. Yet, when he was a Democrat, black celebs, and politicians were rubbing elbows with him at every opportunity. Trump has always helped all people regardless of race. This page will also highlight articles that show the lefts accusations are not true, but typical left wing propaganda. Also, this page will include exposing democrats as the true racists. As this new page was being created, the #WalkAway movement began. Thereby this page will also include Liberals, Democrats of all races who are leaving the Democrat Group think. However, this page will highlight minority support for Trump. <---- Watch Candice Owens destroy Democrats trying to paint her as defending Hitler, and point out how Democrats use these tactics often. The Report Is Out! 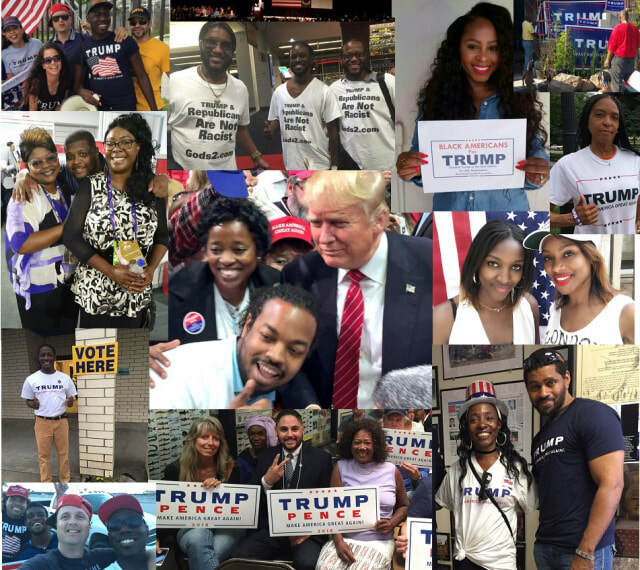 Trump Just Hit a New High With Black Voters! Dear CNN: Donald Jr. Hangs Out With 100s Of On Fire BLACK Conservatives - Is That 'News? Kanye West Doesn't Want to Bring Back Slavery. He's Trying to Abolish It for Good. WATCH: Do Liberals Feel Threatened By Conservative Black Women?